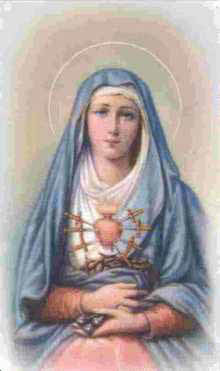 We can trace devotion to Our Lady of Sorrows back to apostolic times. St. John the Evangelist, whom we can consider as one of the first devotees of the Mother of Sorrows, witnessed first-hand and then recorded in his Gospel that Mary stood by the Cross of her Son (Jn 19:25). There on Calvary the Blessed Mother suffered—overwhelmed with grief at seeing her Son, who is also her God, die an agonizing death by crucifixion. At the Presentation of the Infant Jesus at the Temple, Simeon prophesied that Mary’s soul would be pierced by a sword so that the thoughts of many hearts would be revealed (Lk 2:35). Mary, as the first and greatest disciple of her Son, participated in a most deep and profound way in the redemptive work of Our Lord. Devotion to Our Lady of Sorrows flowered during the Middle Ages. The well-known medieval hymn Stabat Mater beautifully expresses this devotion to the sorrowing Blessed Virgin Mary at Calvary: At the Cross her station keeping, Stood the mournful Mother weeping, Close to Jesus to the last. Our Lady of Sorrows is traditionally depicted in art dressed in black with seven swords piercing her heart. These seven swords symbolize the chief seven sorrows of Our Lady’s life. Devotion to the Sorrows of Mary gave rise to the figure in Christian art of the Pietà, the sorrowing Mother holding the dead Body of her Son who has been taken down from the Cross. 3. The Loss of the Child Jesus for Three Days. 4. Meeting Jesus on the Way to Calvary. 5. The Crucifixion and Death of Jesus. 6. Jesus Taken Down from the Cross. 7. Jesus Laid in the Tomb. Note the Christological and scriptural foundation of the devotion to the Seven Sorrows of Mary. By commemorating Our Lady of Sorrows, we call to mind the sufferings that Mary endured as part of her vocation as the Mother of the Redeemer. No one is closer to Christ than Mary, consequently no one has participated more intimately in the redemptive suffering of Christ than His Mother Mary. Mary suffered because of her intimate union with Christ, on account of our sins, and in behalf of her spiritual children. Devotion to the Mother of Sorrows and the Seven Sorrows of Mary encourages us to flee from sin and inflames our desire to do penance and make reparation so as to console the Hearts of Jesus and Mary. Traditionally, many Catholics have said every day seven Hail Marys in honor of the Seven Sorrows of Our Lady. 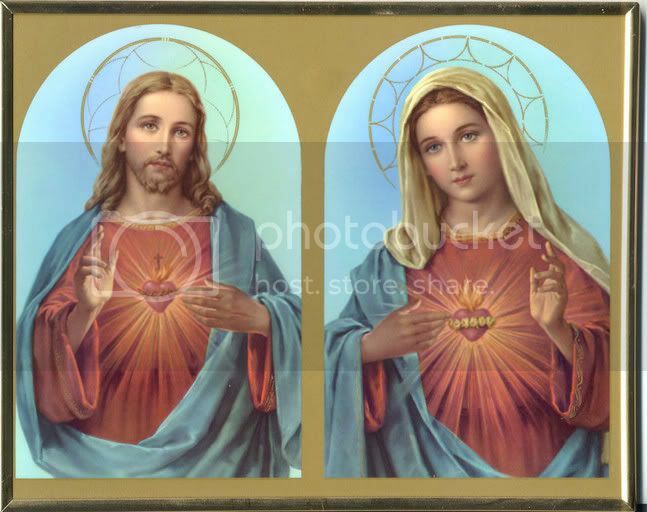 O Sorrowful and Immaculate Heart of Mary, pray for us who have recourse to thee.